When a promising technology is not massively adopted by the public, more engineering is not necessarily the solution. 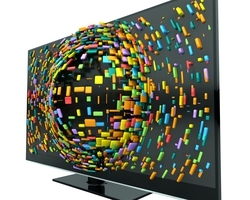 A consortium of companies and institutes looked into the future of 3D TV for signs of market uptake. When the technology first became viable, 3D TV was trumpeted as ‘the next big thing’. However despite the early hype, the market hasn’t quite taken off as fast as was expected. Spearheading the research into the mysteries of the 3D market is the JEDI consortium. The group is made up of more than 20 partners from industry, research institutes, small and medium sized enterprises and a public broadcaster, and seeks to understand and overcome the barriers to 3D TV adoption. Together, they gained experience about which content works for 3D and which does not, and how the 3D TV chain differs from traditional 2D TV and could be compatible with it. The project was funded by EUREKA through its Information Technology for European Advancement (ITEA) programme and is led by Pace France. The type of funding provided by ITEA is close to markets and aims to find real-world solutions for the industry. The vast majority of high-end TVs already offer a 3D feature, said Pace France’s Senior Technology Manager, Issa Rakhodai. But there are several issues limiting usage he added. “Today we have to use glasses to view 3D and this is something that consumers don’t find convenient,” Rakhodai explained. However he was optimistic, saying that future technologies won’t rely on uncomfortable eyewear. Another big problem is content. Despite the buzz around films such as "Avatar" and “Gravity” 3D content is still relatively uncommon today, on-demand 3D content via streaming or cable/satellite providers is scarce. “Creating 3D content is not easy or cheap,” said Rakhodai. “It takes a lot of time, you need more cameras, etc. It’s not like filming a normal picture.” He said that there is still a good market for special events - big films or sporting occasions - and he expects that to continue for the foreseeable future. The JEDI project also seeks to move 3D technology forward and a new technology called Ultra high definition TV could be the way. “Ultra HD is a great platform and will be the real basis for 3D. As Ultra HD will provide an improved quality level, the consumer appetite will evolve. Compared to today, the costs will come down,” said Rakhodai. Some of the results of the JEDI project have already been used to update Pace’s products. Pace International is Europe’s number one set-top box manufacturer with a 16,8 % share of the market. “All our set top boxes are featured to decode 3D TV,” said Rakhodai. Thanks to the EUREKA funding model, JEDI allowed the project’s partners to have a consolidated view of the evolution of the emerging market. This will make them technically prepared and let them anticipate the development of new products, driving the 3D TV sector as a whole.